The basic weight of the Audi Q5 at market launch is 1,730 kilograms (3836.04 lb), a low figure for an SUV of this size. 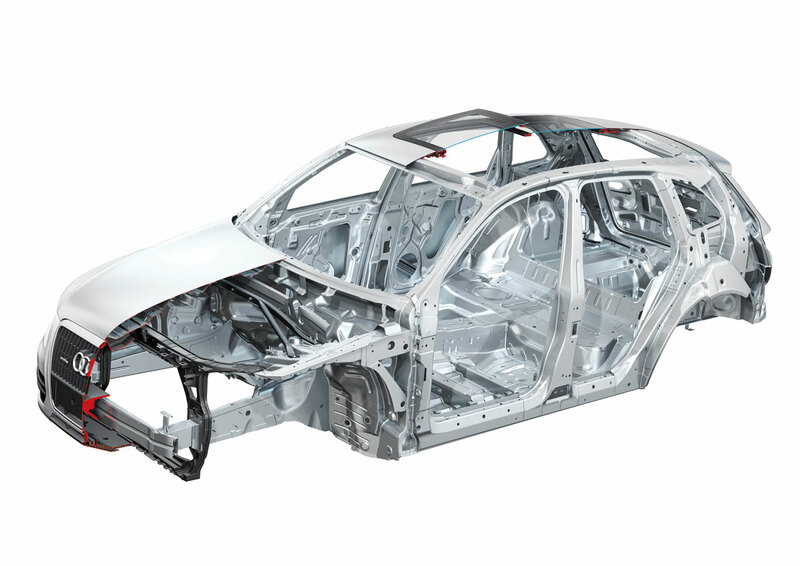 The steel body is very light in weight, thanks to the intensive use of cutting-edge technologies. 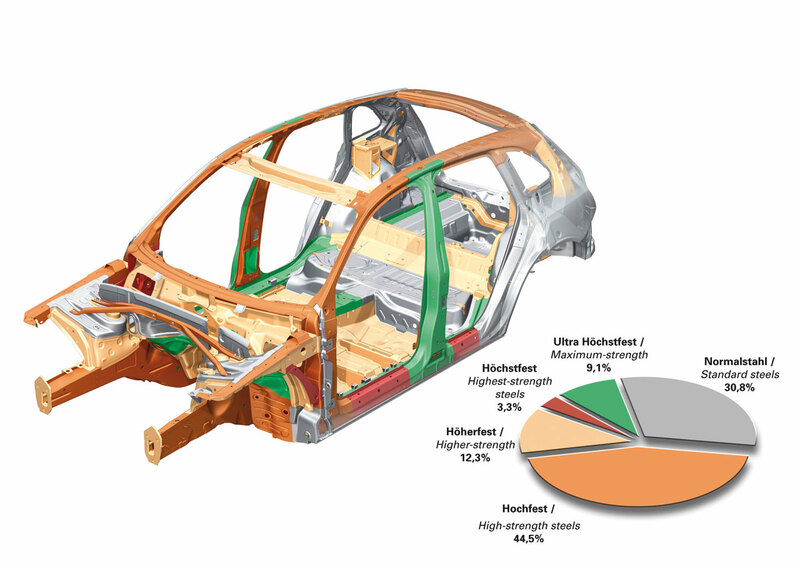 The super-strength steels that reinforce the center tunnel, inner sills, B-posts, longitudinal members and bulkhead cross-member in the luggage compartment have tensile strengths as high as 1,600 megapascals. Six Audi Q5 cars together weighing ten metric tons could be hung from a strip of this hot-formed material only two millimeters (0.08 in) thick and 30 millimeters (1.18 in) wide. Hot forming is a hi-tech process. It involves heating blanks of boron steel to 950 degrees Celsius (1,742° F) in a conveyor oven and then quenching and shaping them in a cooled die. Their various zones can be heated to different temperatures in the oven, to produce a range of strength zones. In the event of a crash, the component is then deformed in precisely the desired manner. In the case of the B-post, for instance, the lower zone is rather more ductile (deformable) than the upper zone, since this is where most energy has to be dissipated in the event of a side-on collision.